Italian defender known for well-roundedness who has played for the Italian national team and professionally for A.C. Milan. He began his youth career in 2001 with Cimiano. He made his international senior team debut in 2013 in a friendly match against Brazil, which ended in a 2-2 tie. He grew up with his family in Milan, Italy. 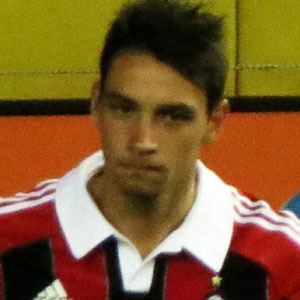 He played alongside Mario Balotelli on the Italian national team.